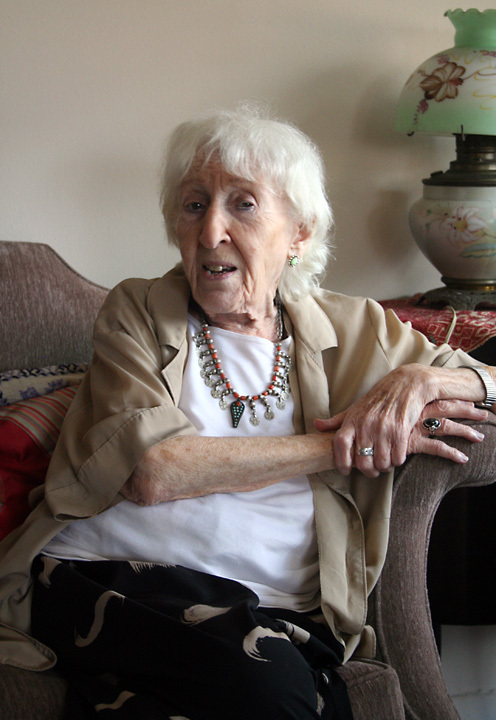 From the Yurchenco Archives: On today’s show I air an interview Henrietta Yurchenco did with Alan Lomax about Leadbelly. I’m not sure when this interview was conducted (there was no date on the tape), but I think it was done in the mid 1960’s for one of her broadcasts on WNYC. Alan Lomax gives a really excellent talk about Leadbelly, about his music and about when he and his father John Lomax first encountered Leadbelly at the Angola State Penitentiary in Louisiana. After the interview I play some of the very first field recordings that the Lomax’s made of Leadbelly when they met him that day in 1933, and when they returned to record him again in 1934. Thanks go to Nathan Salsburg of the Alan Lomax Archive for supplying me with those recordings. 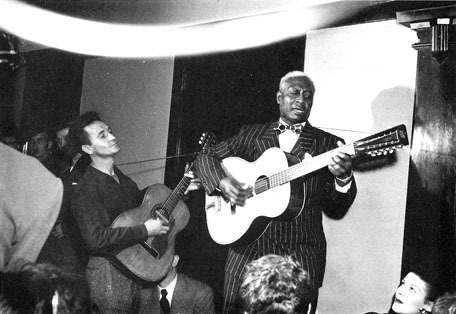 The film posted here is a mid 1930’s “March of Time” newsreel starring Leadbelly and John Lomax playing the parts of themselves in a stylized reenactment of their first meeting and early activities together. In 1933 John & Alan Lomax were supplied with a portable disc recording machine, the first of its kind, and once they got the hang of using it they proceeded to the first stop on their field recording trip, the Angola State Pen, and the first person they encountered there was Leadbelly. Alan Lomax’s description of this series of events is vivid, and together with the early field recordings I play on the show and the “March of Time” film, you can get a startling connection with that moment in time and space.